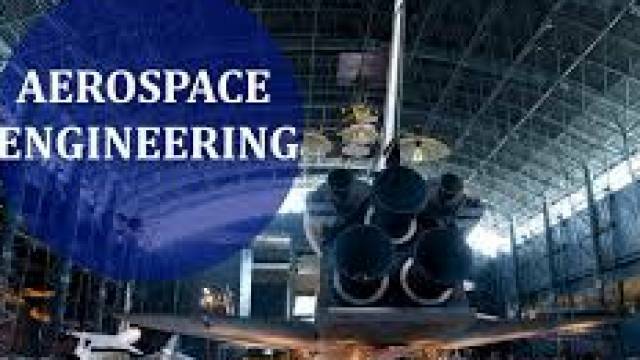 Aerospace engineering deal with the study of designing, construction, development of aircraft, spacecraft, missiles, and satellites. Aerospace Engineering is a new branch for Indian Students as they hardly have an idea about it due to lack of information. Therefore, Let's start with what is Aerospace Engineering? Aerospace engineering deal with the study of designing, construction, development of aircraft, spacecraft, missiles, and satellites. Manufacturing new technologies in aviation, space exploration, and defense systems also come under this course. Aerospace is one of the most desired fields of engineering today since so many students wish to get into this sector. A lot of students also want to work with prestigious organizations such as ISRO, NASA, HAL, etc, and even the private sector such as Airbus, BMW, etc. To become an Entry level aerospace engineer, one must pursue a bachelor's degree in Aerospace. Candidates who have a keen interest in this field should have physics, chemistry, maths, and knowledge of computers at the intermediate level and must fulfill the minimum qualifying marks to enroll for this course. To pursue Post Graduation Degree in aerospace engineering, the aspirant should have B.tech degree with minimum percentage required at the undergraduate level. The challenging field has a wide scope for the expert minds who have the ability to designs cost-effective, less noise pollution fuel-efficient machines. As the world is evolving and working hard towards commercialization of space crafts, rockets, missiles etc, the demand of aerospace engineers is projected to elevate with time. According to the U.S. Bureau of Labor Statistics (BLS), the growth in aerospace engineering is expected to grow up to 5% over the next 7 years. The candidates are going to encounter endless opportunities in the field of aerospace. Aerospace engineering and operations technicians, mechanical engineers, material engineers, industrial engineers, electrical and electronics engineers, computer hardware engineers are some of the career options that you can choose depending upon the interest. With demanding skills, an aerospace engineer may advance to become engineering managers, move to executive positions such as program managers, and can even become a technical specialist. The annual salary of an aerospace engineer was $97,480 in the 2010 year as per BLS. The salary package of an aerospace engineer is also depended upon various factors like experience, industry segment, and educational degree. Moreover, the aerospace engineers who are working in defense systems get higher salaries in comparison to the engineers who work in commercial aircraft upgrade.